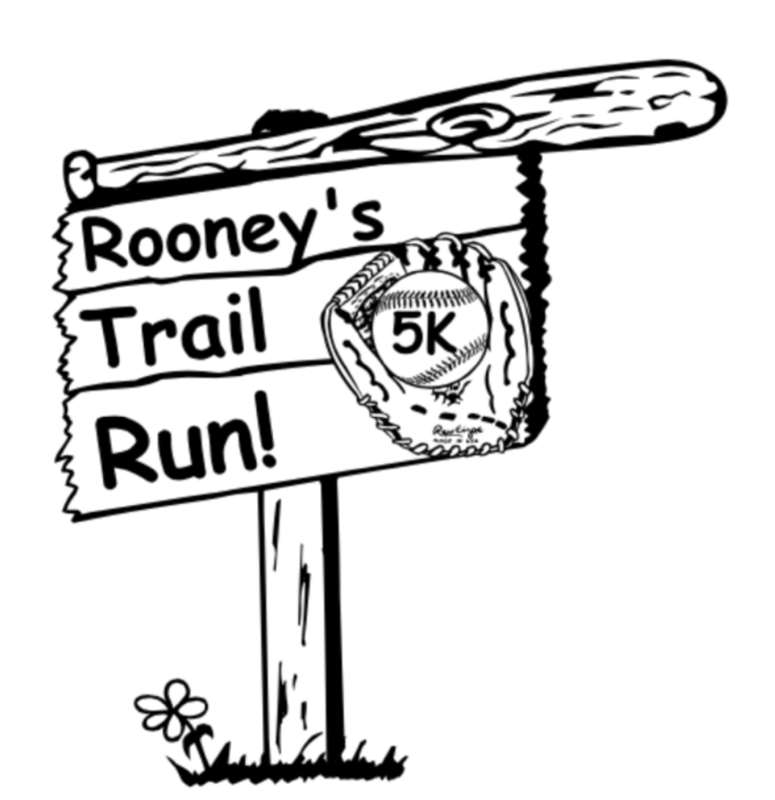 The Medway Youth Baseball and Medway Trail Club are holding the Third Annual Rooney’s Trail Run Family 5K on Sunday, May 19th. 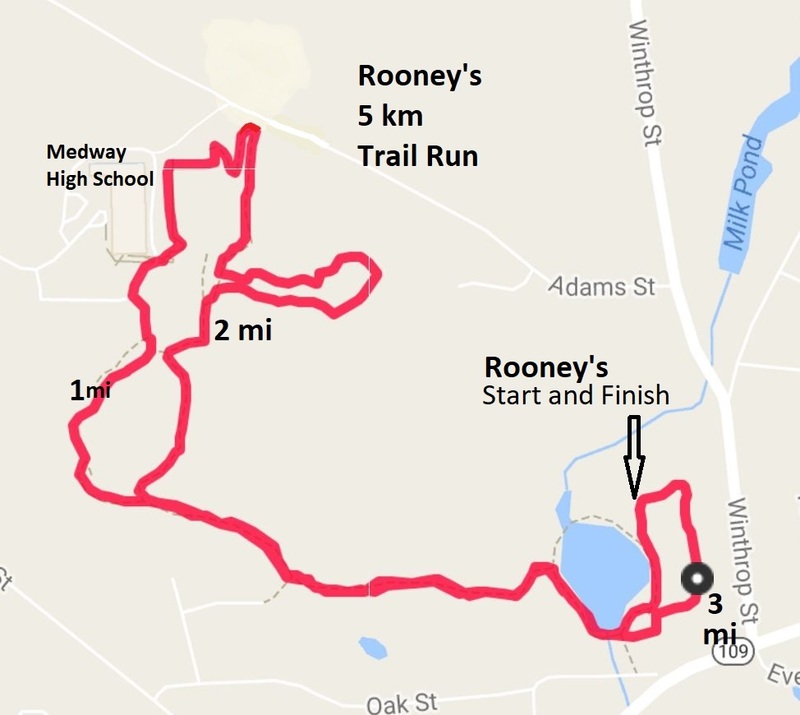 The run will start at Cassidy Field parking lot and proceed south around Choate Pond, then around the pond entering the trail system by the volleyball court. The trail connects Choate Park with the High School. Runners will circle the High School varsity baseball field, run along the back of the High School and enter the trail system again at the east side of the North Parking lot. Running along the Meadow the runners enter the woods and turn left onto a 1/2 mile rough single track dirt loop (the red blazed loop). Runners then return to Choate Park running along the gravel path, up around Cassidy's field finishing near Rooney's Snack Shack. This is Medway's only trail run and based on other trail runs in the area we expect a large turnout from our local Medway community, as well as many surrounding towns. Proceeds will help to enhance the Youth Baseball program in town as well as help the Trail Club continue its commitment to maintaining and beautifying the trail system in Medway. Sign up today, We are printing T-Shirts for the first 100 runners, to get one sign up early! Bib pickup and morning-of registration will open at 8:00am for a 9:00am race start.